Representing Richmond, Virginia, Jeffrey Braga takes on the moniker of Korin Complex to unload a heavy arsenal of deep basslines. With official releases on Silent Motion Records and Sure State, his sound ranges from dubstep & grime to more experimental pieces, often reaching into strange territory with mindwarping effect. No matter the genre, his focus is honed into delivering low frequencies as the centerpiece of his productions. These frequencies are the heart of soundsystem culture, and are truly a “feeling” in the right sense of the word. 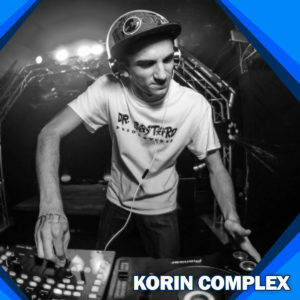 Korin Complex is here to serve that feeling with authenticity down to the core of your experience.